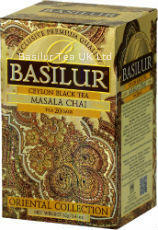 For many centuries tea has been enjoyed, black tea as a warming, comforting brew and green tea as a refreshing thirst quencher. 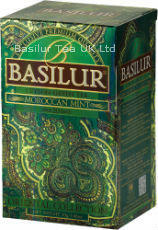 Harvest the pleasure of an ancient tradition with a steaming cup of Basilur tea! 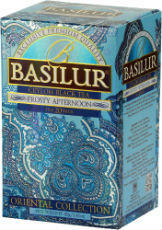 Enjoy the exceptional freshness of tea and convenience in storage with this flavour-sealed zipper pouch. 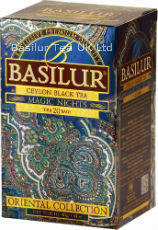 Available in tin caddies of 100g loose tea and individually wrapped foil sachets of 20’s in cardboard boxes. 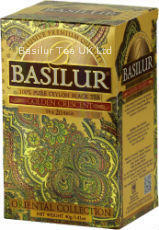 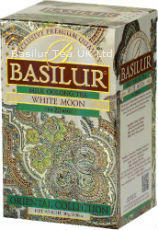 Basilur tea bags are staple-free double chamber tea bags, produced using the latest machinery. 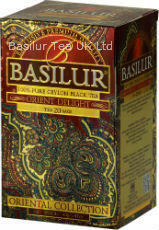 All loose leaf teas are packed in flavour-sealed foil pouches with zipper lock.